Jolo volcano is a group of young cinder cones and explosion craters on the 60-km-wide Jolo Island located off the Zamboanga Peninsula on SW Mindanao Island in the southern Philippines 190 km NE of Sabah, Malaysia. It is part of the Sulu arc and contains several young volcanic vents, including Mt. Dakula near Lake Panamo, the probably youngest cone of the island, Tumatangus volcano, at 811 m the highest point of the island, Bud Dajo (or Buddajo), a young basaltic cinder cone (620 m), and the cones of Matanding, Guimba, and Sungal. 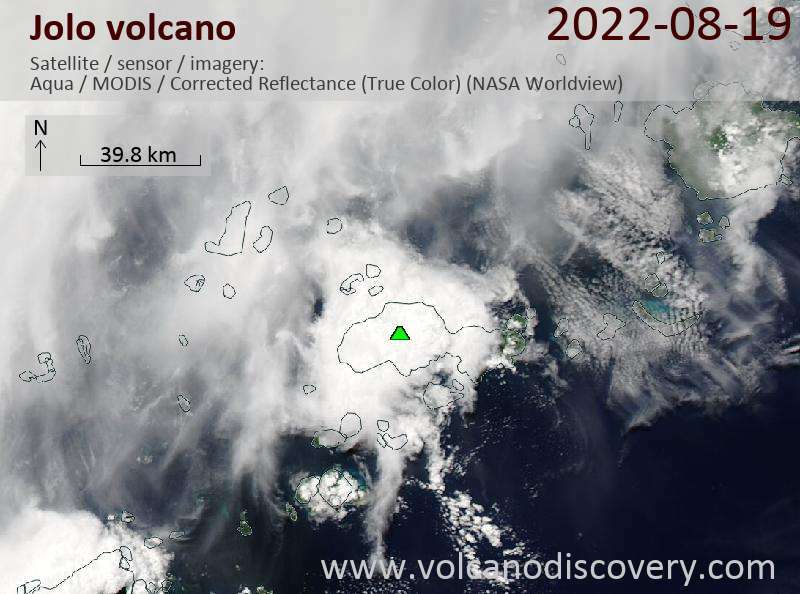 Although not much sign of activity was detected during a survey in 1990, the last volcanic activity probably took place as recently as in 1897, when a submarine eruption accompanied by a tsunami was reported on 21 September. This activity most likely took place al Lake Seit, where a still active solfatara is found. Hot springs also occur at the craters on Cagayan Sulu. 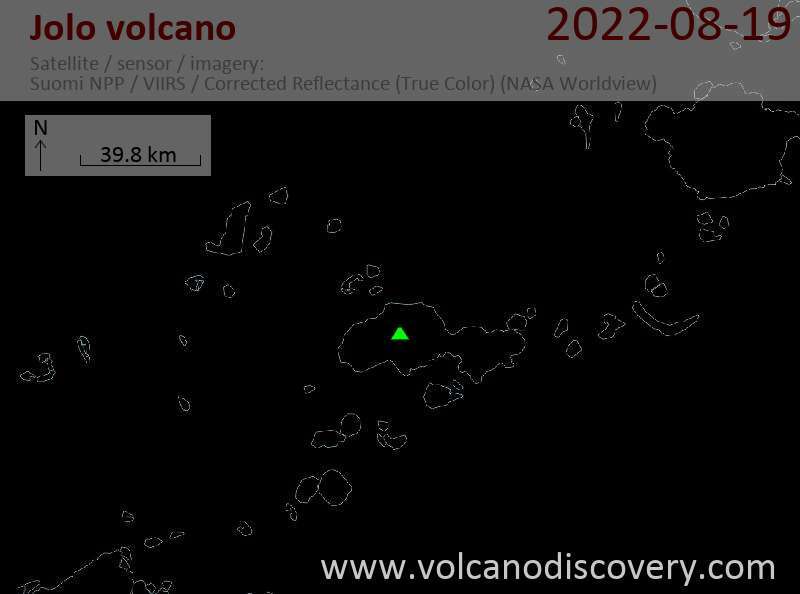 A reported eruption in 1641 most likely was the eruption of Parker volcano on Mindanao instead.